Foer’s wife, Nicole Krauss, revealed to reporters that she didn’t see this coming. “I certainly didn’t expect him to turn to pork right before passover,” said Krauss, who was quite adamantly against eating meat. Krauss, however, did confess that Oprah had made the right move bringing baby-in-a-spit narratives to surburban audiences. Staffers from the Wall Street Journal plan to have Krauss take a polygraph test. 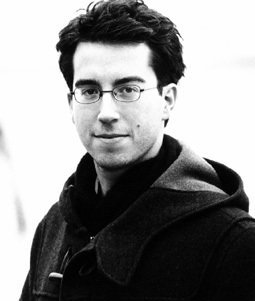 When a journalist remained unconvinced of Foer’s meat-eating habits, Foer grabbed an expensive-looking knife, proceeded to slice his wrist open and began supping of his own blood. The journalist then apologized. He worked for the New York Sun. ← Previous Post Does Daniel Mendelsohn Spend All His Spare Time on Technorati?